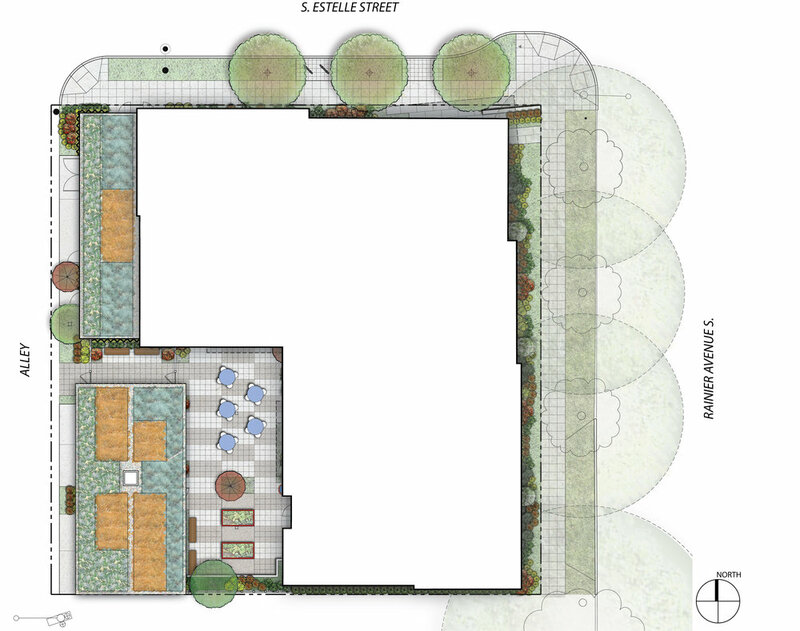 A private courtyard with gardening planters, bioretention planters, a decorative cable trellis system with climbing vines and benches provides active and passive outdoor amenity space for the formerly homeless men and women who live at The Estelle. A green roof on the one-story garage structure provides a pleasant view from the units above, as well as helping mitigate stormwater. The generous setback and existing street trees along Rainier Ave. S. provide ample space for landscape and enhance the pedestrian experience.